Join Stitchin' Heaven and Friends on a 7-night Western Caribbean Cruise! 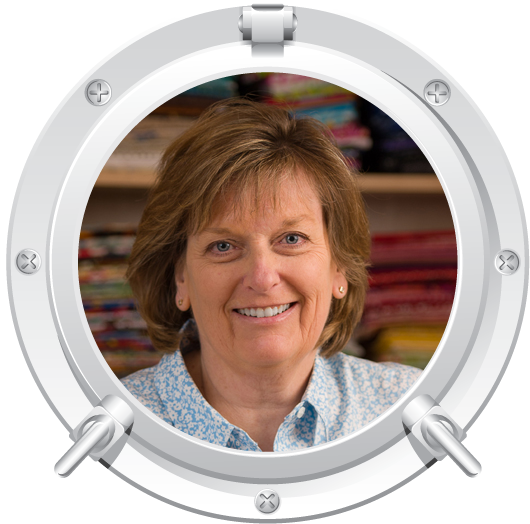 Cruise and learn from three quilting experts: Darlene Zimmerman, Joan Ford, & Lynn Roddy Brown! As usual, we bring you several quilt projects to work on, taught by amazing and talented instructors and designers in the world of quilting: Darlene Zimmerman, Joan Ford, & Lynn Roddy Brown! Darlene Zimmerman lives in rural Minnesota, is married and a mother of four children and a grandmother to five. Her quilt career began by designing tools for EZ Quilting (Simplicity), and she now has more than 30 quilting tools on the market. She has published 4 books with EZ Quilting (Companions; Quilts and Miniatures, The Quilter's Kitchen, Calming the Storm and Quilts to Come Home To) and 10 books with F + W Publications (Quick Quilted Miniatures, Granny Quilts, Granny Quilts Décor!, Fat Quarter Small Quilts, The Quilter’s Edge, The Complete Guide to Quilting, Quilts from Lavender Hill Farm, Fresh from the Clothesline, Quilt Finishes and Quick Quilt Projects). Darlene frequently publishes articles and patterns in quilt magazines, and has also been self-publishing patterns under her company name of Needlings, Inc.
Darlene has been designing 1930s reproduction fabric collections for the past 17 years and is currently designing for Robert Kaufman Fabrics. On February 8, 2003, Joan Ford took her first quilting class and was hooked! Since then, Joan has completed about 3-400 quilts. But who’s counting? In 2006, Joan established her company, Hummingbird Highway. Perhaps she is best known for patterns, books, and workshops featuring the popular ScrapTherapy® technique which helps quilters relieve the guilt of a growing scrap fabric stash, but cutting, storing, and using scrap fabrics in a variety of quilted projects. A thorough overview of the process is detailed in the book ScrapTherapy®, Cut the Scraps! published by The Taunton Press. Her second book ScrapTherapy®, Scraps Plus One!, released by The Taunton Press in 2013, follows along with more patterns and project ideas. Lynn Roddy Brown is a sixth generation Texan who has always loved to sew. She took her first sewing lessons at the age of eight at the local Singer sewing-machine shop. When she was 10, she won the Singer regional dressmaking contest and received a sewing machine as her prize. There was one beautiful quilt in her home as Lynn was growing up, made by Lynn's great-grandmother as a wedding gift for her parents. This quilt, which now belongs to Lynn, kindled a lifelong interest in quilting. In the early 1970's she began tearing pictures of quilts from magazines and did some patchwork with templates, but it was not until 1989 when she lived in Rochester, New York, that she began to quilt seriously. For the past fifteen years, Lynn has been a member of a bee that trades blocks for scrap quilts. She loves scrap quilts because they give her the opportunity to use many different fabrics. She has had three of her quilts hung in the IQA juried show in Houston, two of which were scrap quilts. Lynn currently lives in Houston, Texas, with her husband, an economics professor at Rice University. She and her husband have also lived in Pennsylvania, New Jersey and New York. They have three mostly grown children (Kim, Wes, and Nancy) and two cherished grandchildren (Lillian and Eli). Lynn has been a seventh-grade science teacher and computer programmer. She received a kidney transplant in January of 2002, for which she is truly grateful. There was a time when everyone carried a hanky in their pocket. Those days are gone, and today pretty hankies are quite collectible. This pattern reminds one of stacks of pretty hankies all neatly folded and pressed, just waiting to be tucked into a pocketbook or an apron pocket. This quilt was designed by my daughter, Rachel, who is an “old soul” at heart. Whether you are a beginner or an old hand at quilting, you’ll find this an easy quilt to put together. Finished Size is 52" x 62". Purchase the Hanky Panky pattern here. Great for all skill levels, Runaway Thread is a playful, scrappy quilt that will make a nice dent in your scrap fabric stash. 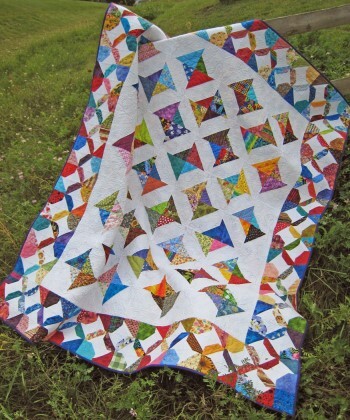 Wildly scrappy pieced thread spools dance across the quilt in all directions. Smaller, mischievous spools repeat the fun in a reverse-value border. You're going to love making this quilt--no spoolin' around! Finished Size is 66" x 78". Purchase the Runaway Thread pattern here. 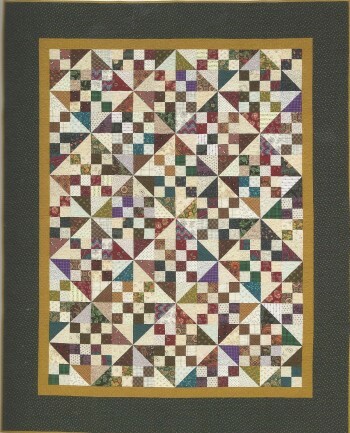 A delightfully scrappy quilt made using a wide assortment of 4" half-square triangle and four-patch units. 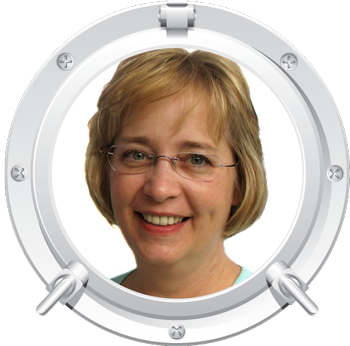 Lynn's favorite hobby, even above quilting, is western swing dancing. 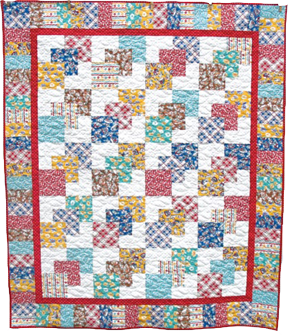 One of the first patterns she learned in dance class was called the Wild West Shuffle, for which this quilt is named. This quilt is totally scrappy, with an overall pattern created by light and dark values. Lynn wants this class to be a fun, no pressure day of sewing. She will cover scrap quilt theory, designing on a wall and her method for the precise piecing of half-square triangle and four-patch units. Tips will be given for alternate settings, machine quilting and bindings. Finished Size is 66 1/2" x 82 1/2". Purchase the Texas Two Step pattern here. Roatán Island is the largest and most developed of the three Bay Islands of Honduras and lies not far off the northern coast. The majority of the population of Roatán originated from the Cayman Islands. The growth of tourism and travel awards has put Honduras squarely on the map. Today, the beautiful Caribbean island is a mecca for divers and snorkelers. 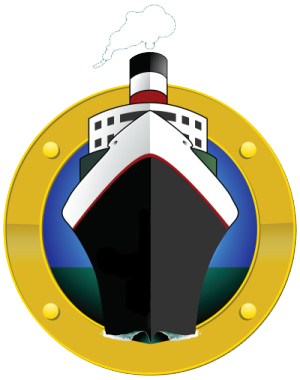 Commercial fishing is one of the main economic drivers in Roatán and is home to one of the largest fishing fleets in the Western Caribbean. Visit the Caribbean’s largest barrier reef, the Mesoamerican Barrier Reef. Lying just offshore, it's a favorite spot for divers and snorkelers to see colorful corals and an amazing array of marine life. With miles of lush tropical rain forest, a gorgeous Caribbean coastline and the longest barrier reef in the Western Hemisphere, it doesn't take long to realize why Belize City is known as "The Jewel." Located between Mexico and Guatemala, Belize possesses a unique combination of modernity and rustic Caribbean charm. Ancient ruins indicate that Belize was first inhabited by the Mayans in 300 B.C. This Indian heritage, combined with a rich European history, creates a destination full of charm and wonder for all to discover. When you're in Belize, don't miss the chance to climb to the top of El Castillo. This 135-foot structure is one of the tallest Mayan structures in Belize. From the top, you can see the lush rainforest of Peten, the Mayan Mountains and even across the border into Guatemala. Keep your eyes open for flocks of toucans and parrots in the trees below you.